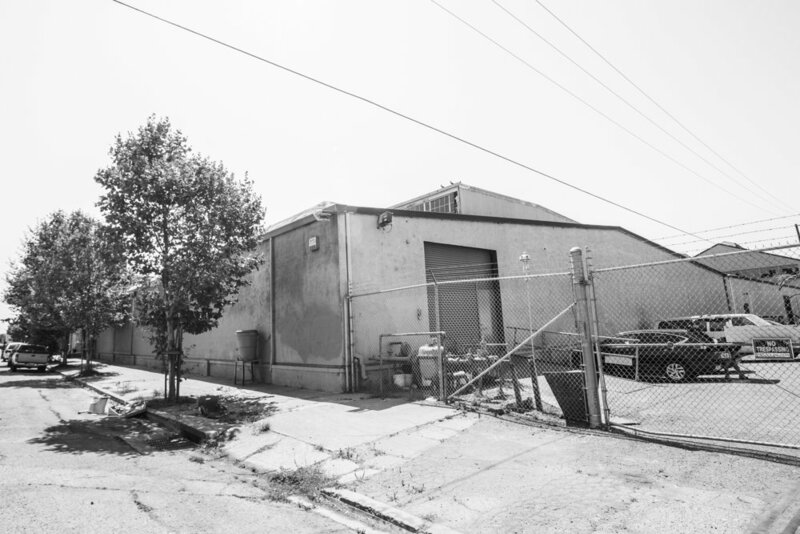 We were brought on to come up with some different ideas on these large defunct West Oakland properties. A vibrant paint scheme to show the concept of how the facade could look with a full wall mural. 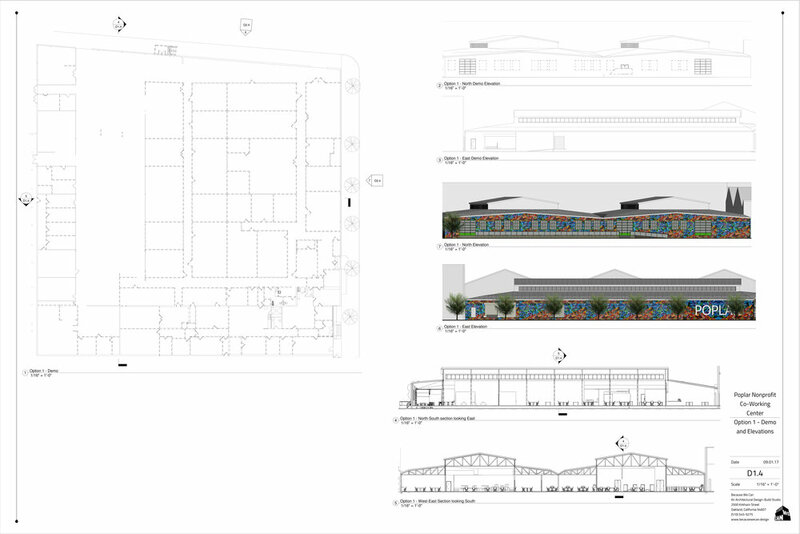 Floor plans and concept images to show a co-working office idea for this large industrial space. Another large West Oakland, CA building that needs some interesting development ideas to bring it into something vibrant. Here we are showing a much needed grocery store brought to this area. The warehouse as it exists now. Unused for many years and a city block large. 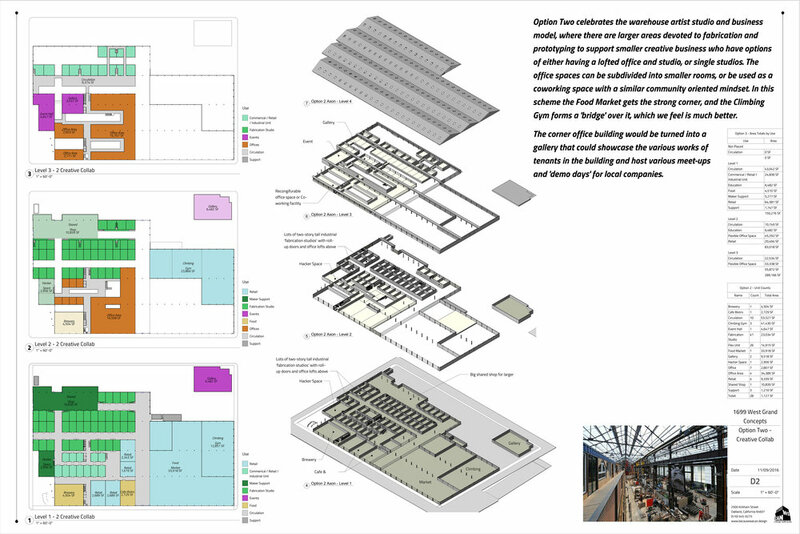 An exploded view of this multi story layout with balconies to keep the open warehouse feel. 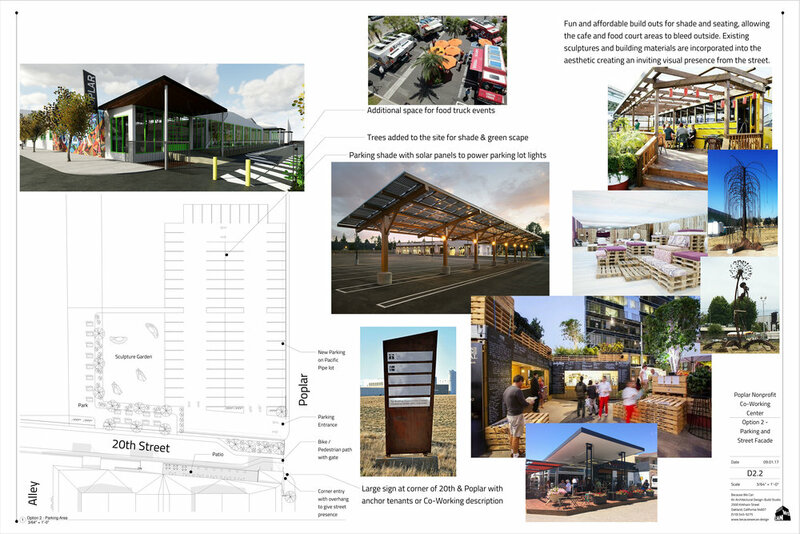 Using the warm West Oakland weather to our advantage in this exterior parking and garden plan: there are solar powered parking awnings, fun shaded outside seating areas and cool signage that matches the aesthetic of the surrounding sculptures in the neighborhood. A floor plan for the the office / co-working plan. The large open space is broken up into rentable areas, shared areas and a dedicated public facing cafe & food court; another needed venue for the neighborhood. Some exterior views of this corner warehouse with its different privately rentable and publicly accessible spaces. To work out these concept design for our client, we first spend time tracking down and interviewing the possible end users. That gave us a base to start from and a realization of what the needs, concerns and struggles are withing that industry of Non-Profit Co-working. It was only after this in depth research that we were able to create the concepts for our client.